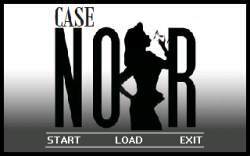 Set in 1940's Los Angeles, guide Jack Noir through his first case as a homicide detective. The decisions you make throughout the case will affect the overall outcome and you will be rated on the decisions you made. Featuring three possible endings. Can you discover the true killer and close the case?